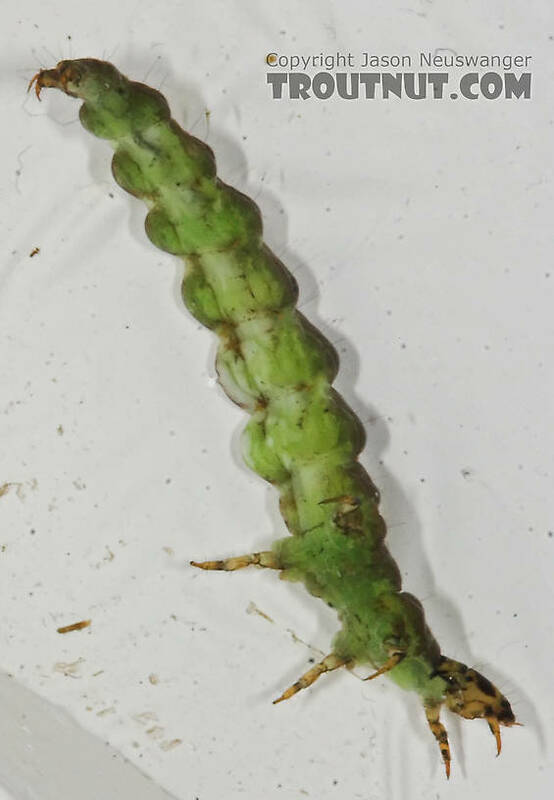 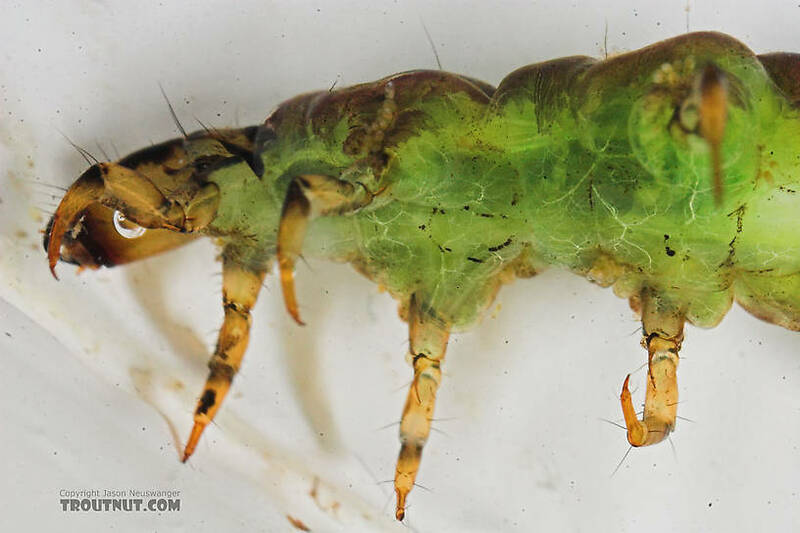 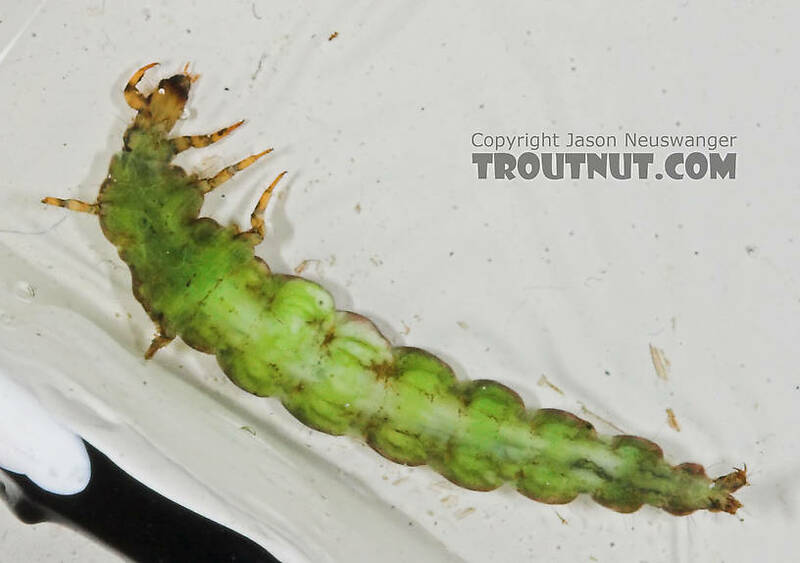 I collected this larva and several like it from the same stream and on the same day as this pupa. 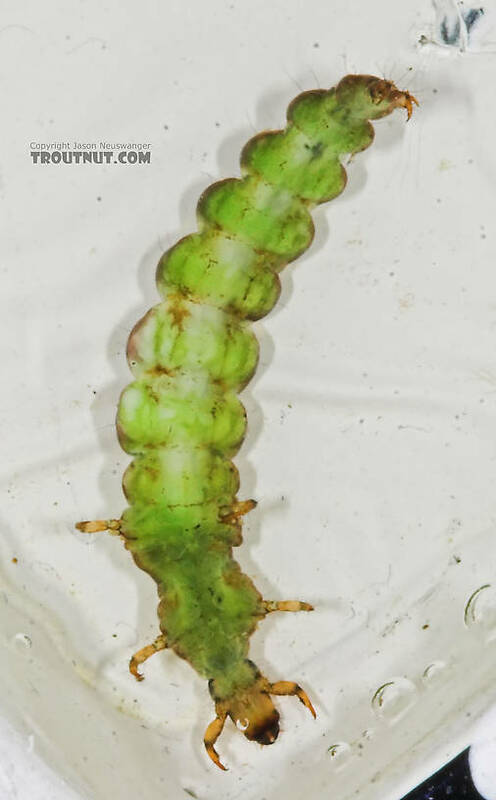 I suspect they're the same species. 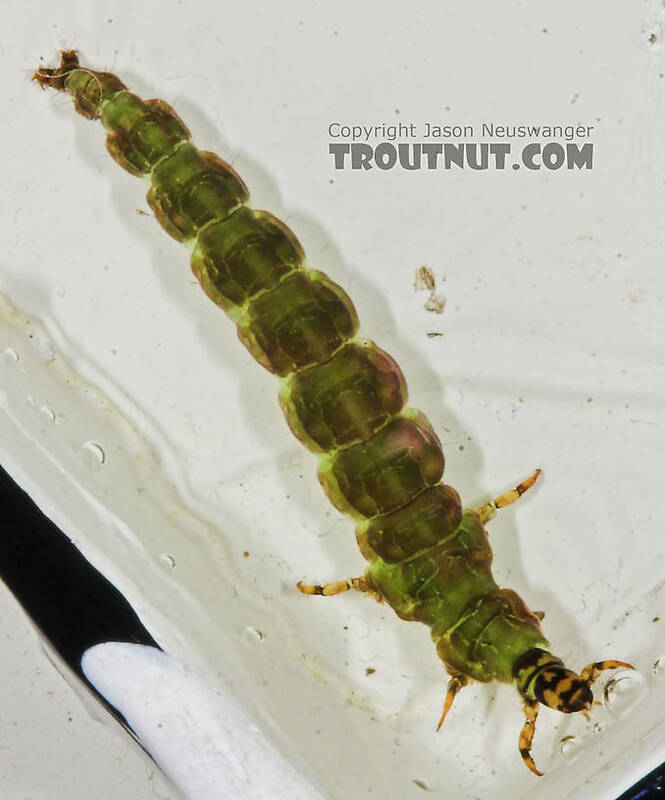 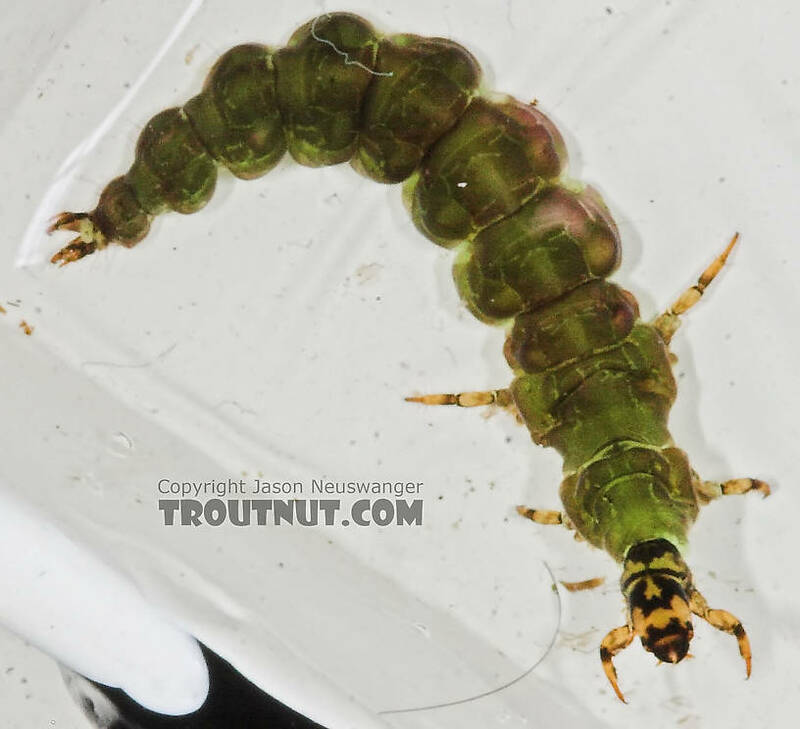 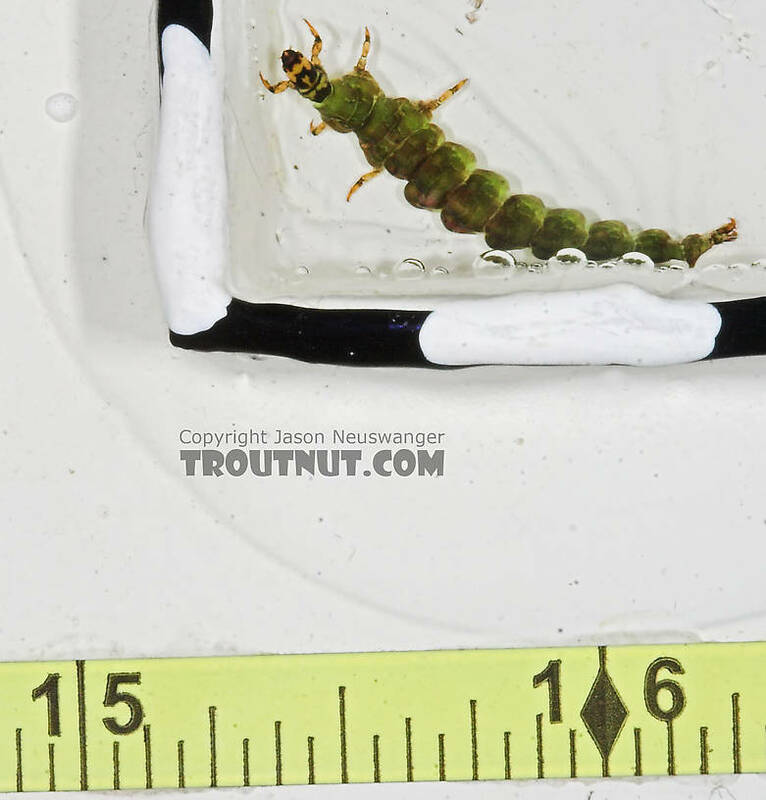 This caddisfly was collected from the Long Lake Branch of the White River on June 5th, 2005 and added to Troutnut.com on May 25th, 2006. 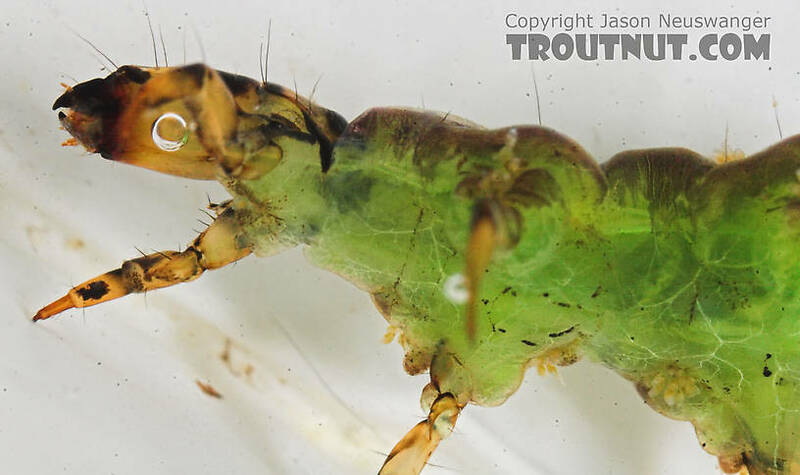 Looks like Rhyacophila fuscula. 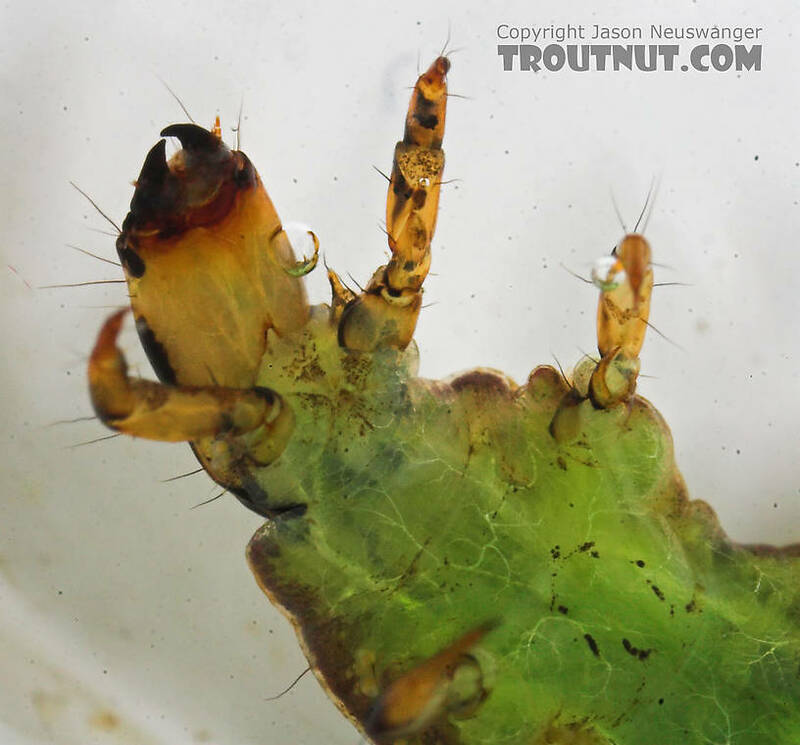 Wonderful bug.